Are you looking for townhouses for sale? This Upper West Side Townhouse is a buyer’s dream. This luminous four-story NYC brownstone for sale offers exceptional value for upscale living. Currently, a recently renovated owner’s duplex with a terrace and a garden, the upper two floors are floor-through one bedroom apartments that rent month to month. Factor in the rental income, and the cost of this New York City townhouse is equivalent to purchasing a co-op. The taxes are so low that it may cover up to $100,000 in mortgage payments. The ample space and the lush, stone-tiled rear garden make this a perfect townhome for a playful dog. Facing East/West allows pleasant morning sunlight to fill every corner. 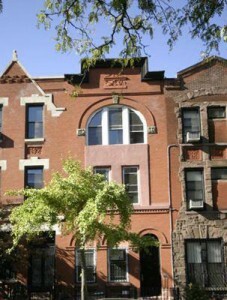 On the same block, a Manhattan townhouse with a similar architectural footprint was featured in The New York Times, New York Magazine and on various television programs. This is a gem among New York City brownstones for sale.